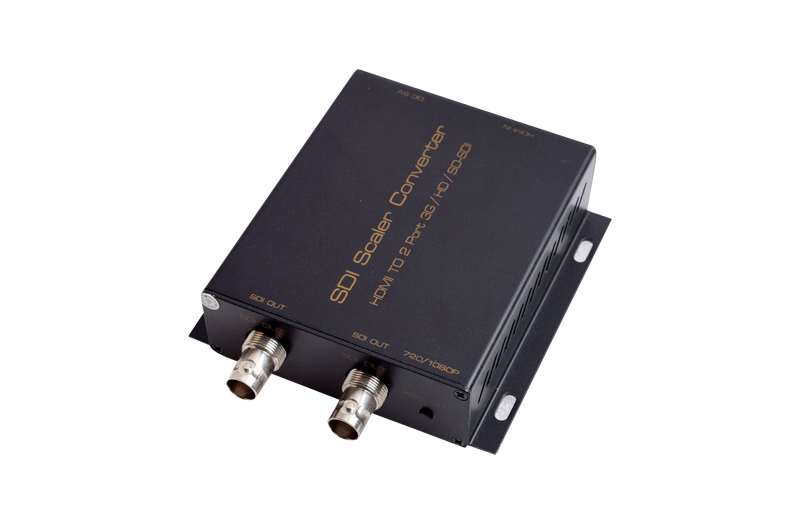 The device can converter the HDMI signal to SD-SDI, HD-SDI and 3D-SDI signal. 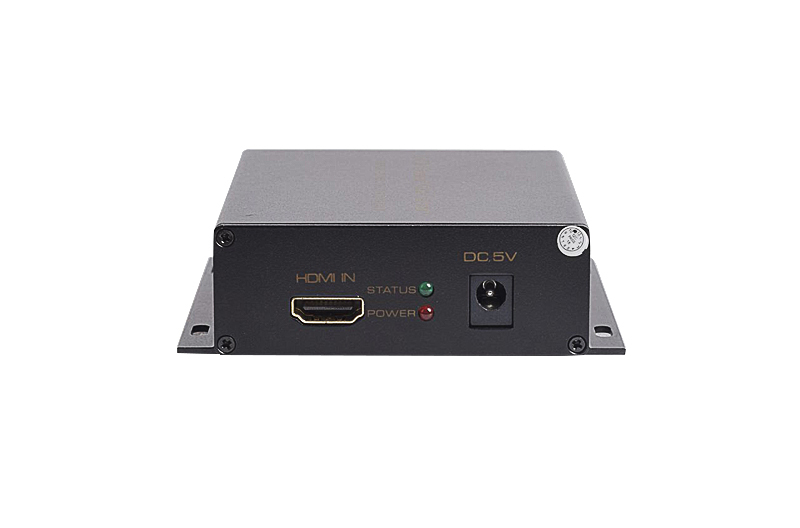 It integrates SDI receiver and HDMI modulator to help the device to change the HDMI signal to SDI signal and embed the audio signal from HDMI into the SDI signal to do simultaneously transmit of the audio and video. 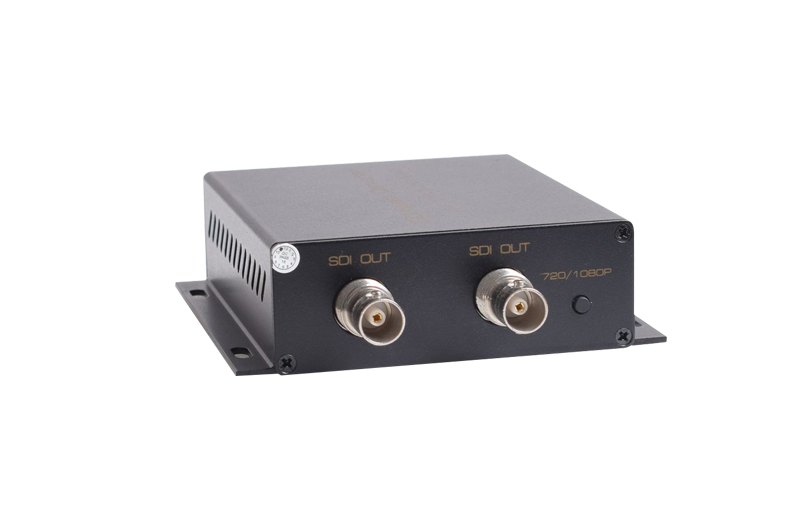 Video Signal Output： Two SDI output that support SD-SDI，HD-SDI and 3G-SDI signal. 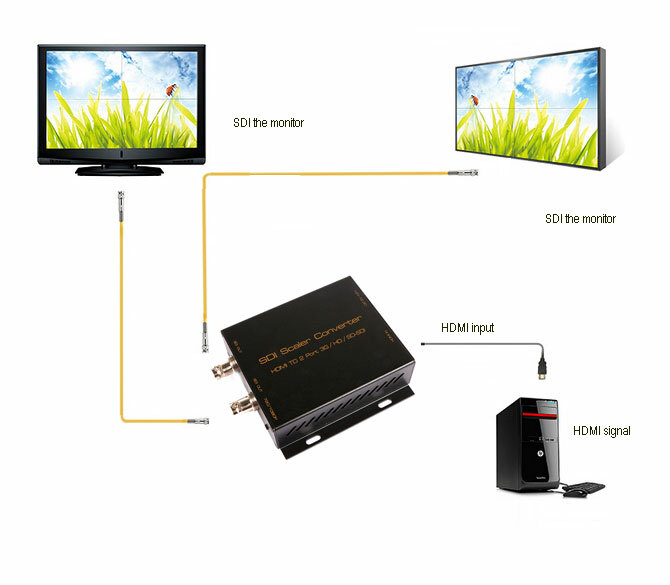 Support HDMI Resolution：480I@60Hz、576I@60Hz、720P@50Hz、720P@60Hz、1080I@50/60Hz、1080P@25 Hz、1080P@30 Hz、1080P@50/60Hz. 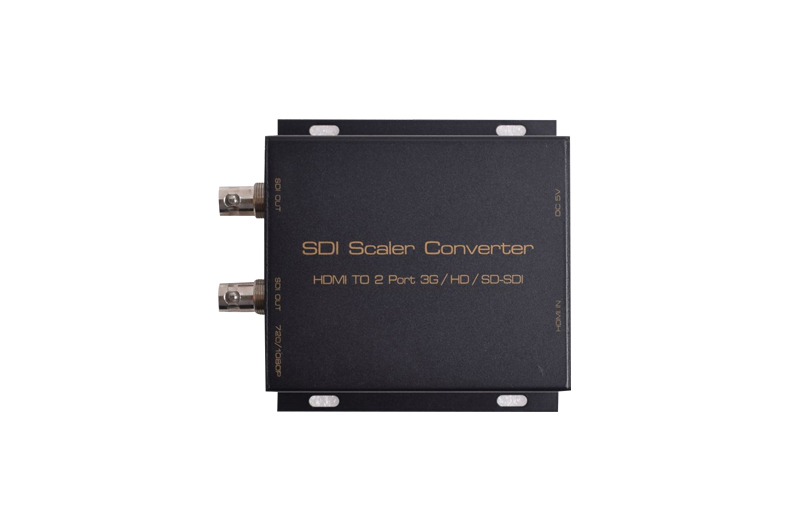 Support Both SDI Output simultaneously.